This is a wine with an abundance of rich fruit. Jammy blackberry coupled with tart raspberry are balanced with root beer and baking spices. Chocolate and orange cream show up in the long, satisfying finish. Rounded tannins are just enough in evidence to provide structure and balance while promising many years of enjoyment. 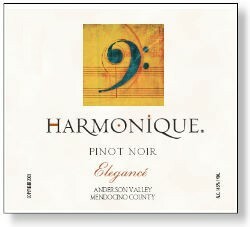 It is in a riper style of Pinot Noir that is versatile in pairing with rich food, especially lamb or duck.